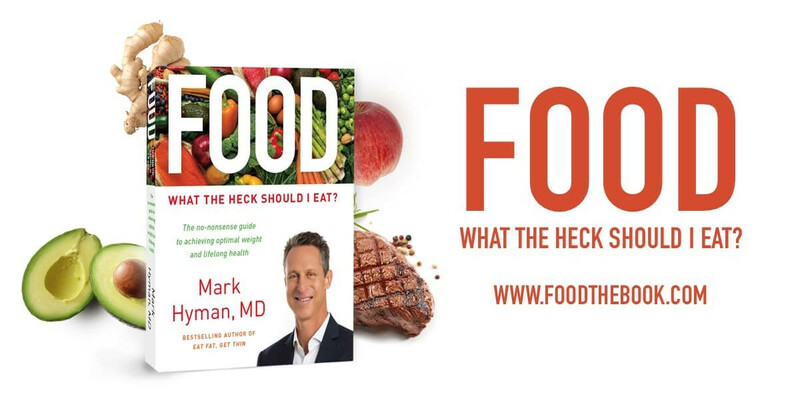 I really look up to Dr Mark Hyman. He's my mentor and I want to share a post with you. Everything he says I totally agree with including how we are tricked at the grocery store on what is sold as "healthy" and "real" food. Food can energize, heal, repair, and uplift us. Every bite you take creates a powerful opportunity to create health or promote disease. Unfortunately, patients and readers often find nutrition confusing. While many things play into that confusion, misinformation, poor reporting, and personal biases make what should be simple – just eat whole, real foods, period – confusing and contentious. You know what I’m talking about. One day experts warn against eating eggs, and then suddenly eggs are a miracle food. We were advised to only eat egg whites until we discovered cholesterol in food minimally impacts blood cholesterol, so now we can eat the whole egg. The U.S. Dietary Guidelines told us 35 years ago that dietary fat could create heart disease and lots more. They recommended we eat fat “only sparingly.” But in 2015, those same guidelines told us research shows no connection between obesity or heart disease and dietary fat. If our government can’t get it right, is it any wonder the public and even many experts are so confused? The $1 trillion food industry only adds to this confusion. They provide us with all sorts of “healthy” options like low-fat, high-fiber, whole-grain, and gluten-free, most of which are the opposite of healthy. All of this is enough to make you give up and just eat whatever you want, whenever you want, and in whatever quantities you want. I’ve got a far better solution. Let’s get back to real food, the kind that comes from the earth and fuels and sustains us, not the industrialized, hyper-processed, hyper-palatable junk that degrades us and makes us sick. Most of these foods lie in the periphery of our grocery stores. They don’t have barcodes or ingredient lists. They don’t claim to be “fat-free” or whatever health claims dominate the front of packaged foods. They don’t have preservatives to lengthen shelf life. They come nature-packaged with nutrients, not produced in labs using inferior versions of vitamins and minerals. 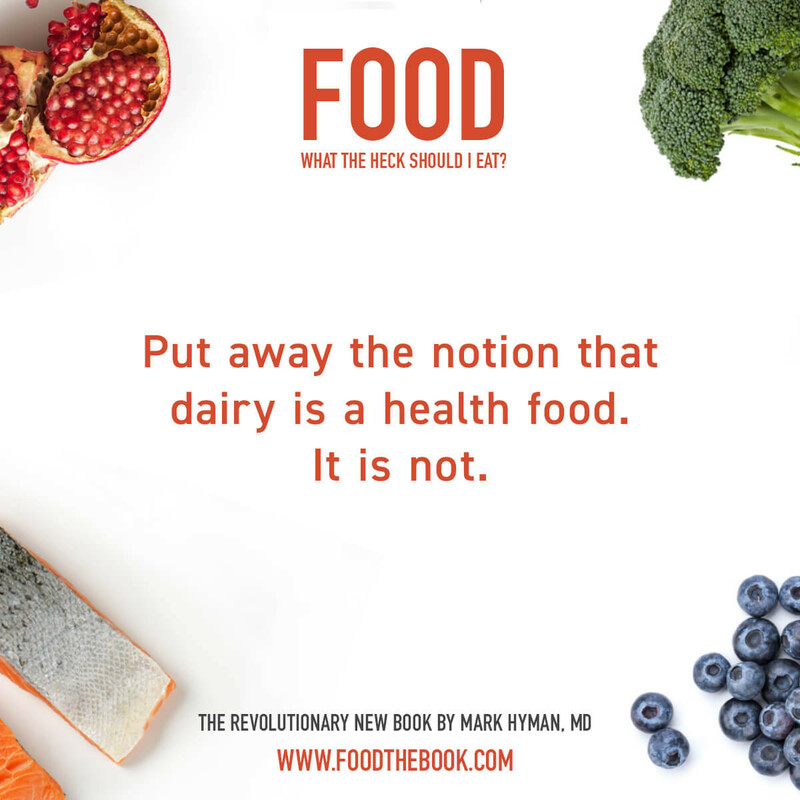 In my new book Food: What the Heck Should I Eat?, I dispel this confusion by looking at what the latest science says about the best foods to eat (and which ones to avoid). Some of this information might surprise you. Foods you thought were healthy might contain added sugars or food sensitivities. Others that experts have deemed unhealthy actually contain health-providing nutrients. My ultimately aim with this book is to empower you and end confusion and miscommunication about what to eat. I truly believe Food has the power to change your health and your life. To give you a taste of what you’ll find, here are 5 takeaways you’ll find in my book. If there are health claims on the label, what’s inside is probably unhealthy. Most real food is naturally gluten free and free of other food sensitivities like corn and dairy. And when you eat a variety of real foods – things like fresh vegetables and fruits, wild-caught fish, nuts and seeds – you naturally get the right amount of protein, fiber, and other health-sustaining nutrients. There are no one-size-fits-all diets. In the landscape of eating, there are many beliefs and dogmas, including vegan, Paleo, vegetarian, Mediterranean, raw food, ketogenic, high-fat, low-fat, and omnivore. Adherents can get pretty dogmatic about their approach, dismissing others in the bargain. There are benefits to each of these diets, but an all-in approach to one or another may not be the all-in answer. In Food, I combine the best principles from many of these plans to provide a sustainable, simple-to-implement way of eating that keeps you lean and healthy. Most of what we eat is not really food. At least, it has been so adulterated and processed we may as well not call it food. It is more of a food-like substance. Look at pretty much any processed food and you’ll find dozens of ingredients. The front label might have some bold health claims, but its ingredients show otherwise. As a result, most of us are confused, baffled, and frustrated, not knowing whom to believe or what to eat. Cultivating and consuming real, whole food is the answer to many of our world’s problems. How we grow it, produce it, and eat it affects almost every aspect of our lives and our society. When we vote with our fork and take back our kitchens using real, whole food, we are making a powerful impact on our families and future generations while sending a message to the food industry that has profit and not your health as the bottom line. Food is more than fuel. It is medicine. It is information. What you put on your fork is the most important thing you do every day. It influences your capacity to live a rich, energetic, connected, soulful life—a life in which you have the energy to care for yourself, to love your friends and family, to help your neighbor, to fully show up for your work in the world, and to live your dreams. If you enjoy real, whole, fresh foods that you cook using real ingredients, you are positively affecting everything around you. I’ve designed Food to be a road map based on the best and latest science of what to eat. My latest book provides all the information you need to take back your health, to become lean and vibrant and free from disease, one meal at a time. Never underestimate the power of food to change your life.